Is my site optimized for voice search? Start an SEO project with us and receive a Google Home Mini. Is your website even SEO ready? This free overview of your site will help determine if the site is even ready. We didn’t expect it but it was nice to be recognized. Is your site on page one of Google? Very important to see how your potential customers search. Don’t worry, we are not a high pressure. Nor are we an overseas company pretending to be Google. Likewise, we are not a phone yellow pages company. Trying to now sell SEO and Social Media services to keep themselves afloat. Because the phone book is dead. We are true web developers. We are SEO experts. We do the work in-house. Regina SEO performs all work in-house. We’re not using out-of-country, third-party companies to do the work. Ask the phone companies that will try to sell you SEO services, or the magazine company that calls if they can say the same. Did you know that 93% of users do not go to Page two in a Google Search? Also, most people don’t even scroll down to the bottom of page one. Even if your website is not found in the top half of a search engine listing, users will often redefine their search to find what they are looking for before they do go to page one or click over to page two. social media addicts and, well …. how do I get on the first page of Google? Find an SEO company. 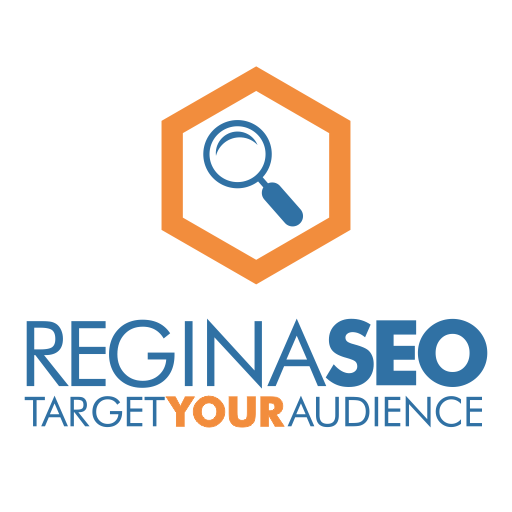 Yes, SEO is an online service and can be done from anywhere, but our goal is to work with Regina businesses. We work in Regina, we are from Regina, we understand Regina. Start with a Free, No Obligation, Quick Report on your website homepage. We can show you a few things your site is missing and provide a few ideas on how you can increase your SEO and be found on the first page of Google. Customer's carry phones ... not phone books. How is being on the 10 page under restaurants or 14th page of dentists helping? It’s our opinion that if the phone book companies are trying to sell you search engine optimization, they are only doing so to keep their phone book business alive. Why are they selling SEO if the phone book had any value? They try and sweeten the pot by “throwing in a yellow pages ad and a link on their online directory”.How is being on the third or fourth page of any section in the phone book any good? They are trying to promote putting your business on the first page of Google, but don’t seem to mind that you are buried deep in an obsolete book. Technically no … but your competitors probably will at some point if they don’t already. If you ever want to be found online by your potential customers you should highly consider some SEO. There are varying levels of SEO that can be performed on your site. There are On Page SEO techniques and Off Page SEO Techniques. With over 200 known factors in Google’s algorithm, there is always something that can be done. Ready to drive traffic and business to your website? If you are serious about increasing the traffic to your website and are ready to help us help you then contact SEO Services Regina.